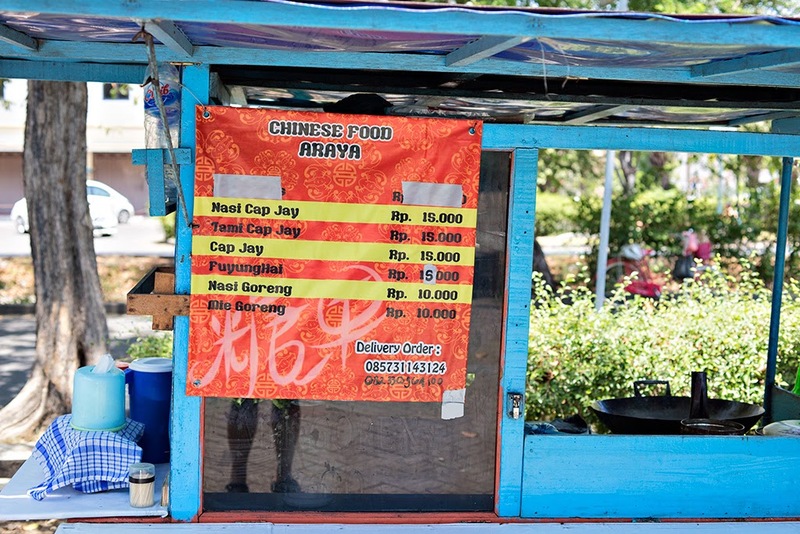 This Gado-Gado seller is quite popular in Surabaya, it's located in housing area of Araya / Galaxy Bumi Permai, in the eastern part of the city. 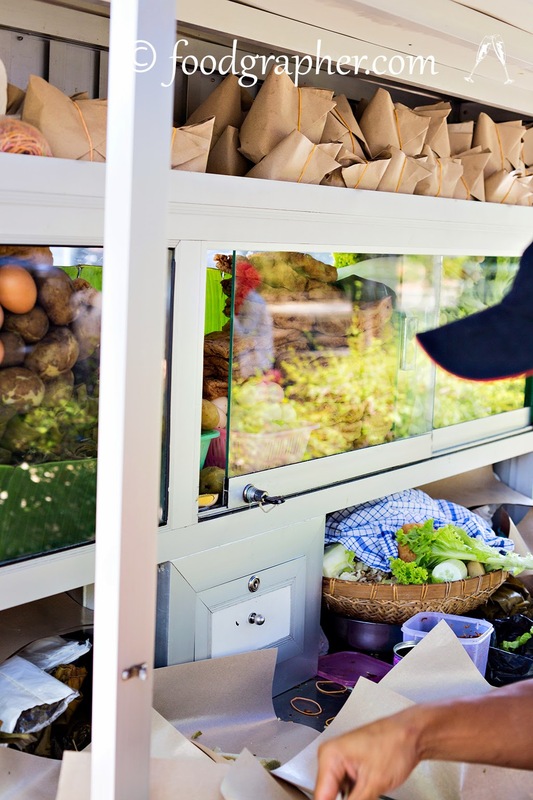 It's an upscale residential area, and the street vendor is located inside the house-store / Commercial area of Araya. Gado-gado (Indonesian or Betawi), also known as Lotek (Sundanese and Javanese) is an Indonesian salad of boiled vegetables served with a peanut sauce dressing. 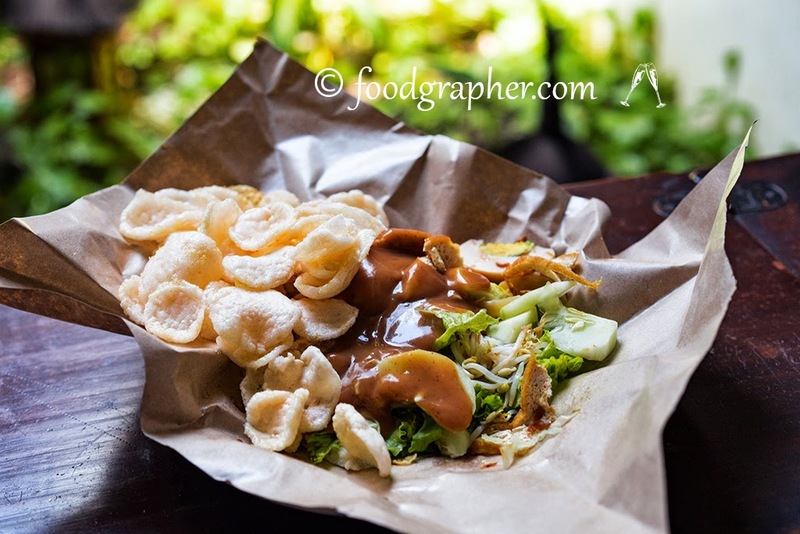 Gado-gado is different from lotek atah or karedok which uses raw vegetables. Another similar dish is the Javanese pecel. Gado-gado is thought to have originally been a Sundanese dish. 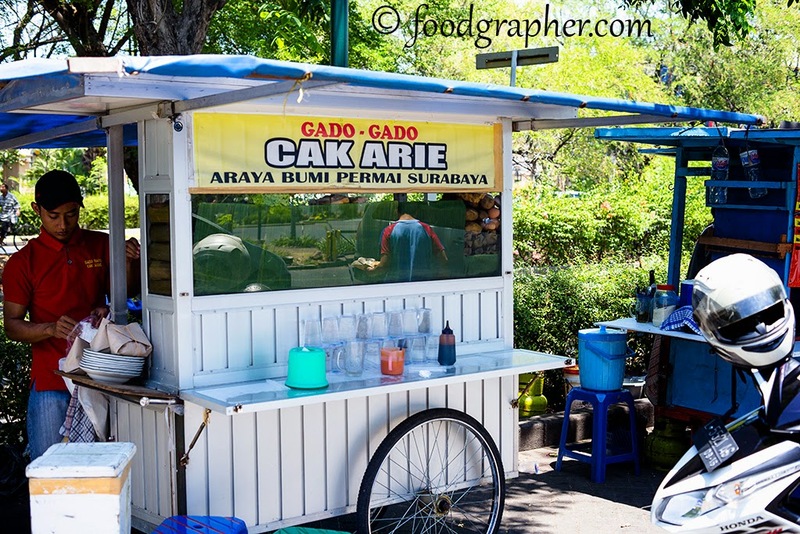 It is widely available from hawkers carts, stalls (warung) and restaurants and hotels in Indonesia; it is also served in Indonesian-style restaurants worldwide. Though it is customarily called a salad, the sauce is a larger component of gado-gado than is usual in Western-style salads; the vegetables should be well coated with it. 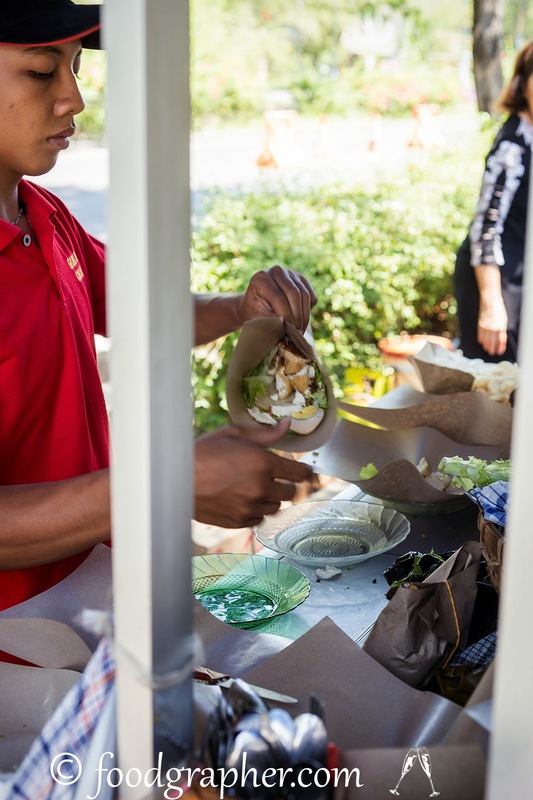 Formerly, gado-gado sauce was generally made to order, sometimes in front of the customers to suit their personal preference for the amount of chili pepper included. However, particularly in the West, gado-gado sauce is often prepared ahead of time and in bulk, Gado-gado sauce is also available in dried form, which simply needs to be rehydrated by adding hot water. Saya termasuk penggemar gado-gado, tapi tidak terlalu senang dengan yang saus kacangnya terlalu kental, nah di sini olahannya sangat cocok dengan selera saya karena olahan bumbunya memakai ubi, yang rasanya relatif lebih ringan. I'm quite fond of this dish, but sometime the thick peanut sauce can be a turn off for me. So this dish is really suited for my taste, since they're using Yam for the Gado-Gado sauce instead of the regular peanut. Using yam makes the sauce tastes lighter and sweeter than peanut sauce. In the vicinity of the area there are some other street food vendors, one of them is this stall which sells Chinese Food. I've never tried it myself yet, but it seems quite popular. #olahan bumbunya memakai ubi, berarti tidak terlalu kental, tidak seberapa terasa kacangnya dan biasanya lebih manis ya Bert?